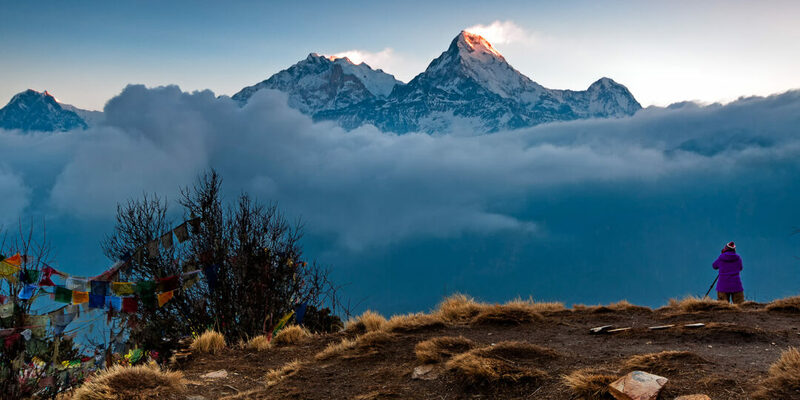 Experience beautiful landscapes unrivaled the world over when you begin your Nepal and Bhutan Mountaintop Explorer adventure. 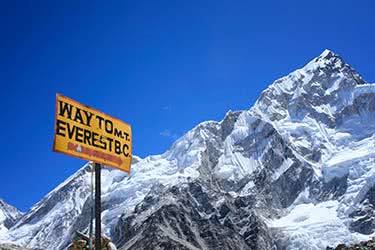 This 19-day itinerary begins by taking you through Kathmandu, Chitwan, Pokhara, and the Kathmandu Valley in mystical Nepal. 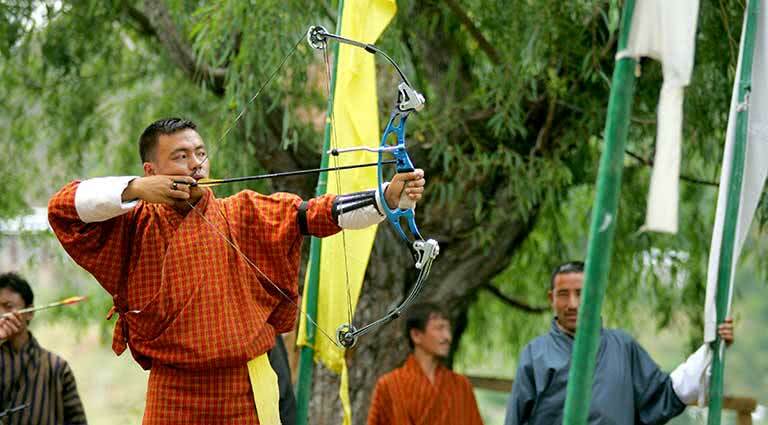 The second-half of your adventure travels through Thimphu, Punakha, Gangtey and Paro in undiscovered Bhutan. Get ready to raft, hike, bike, learn about rare cultures, spot exotic wildlife and more! 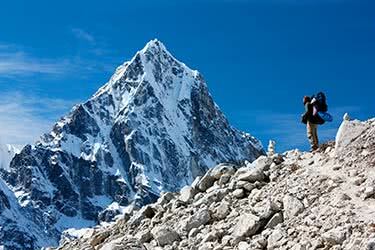 Arrive in Nepal - a country home to eight of the world’s ten tallest mountains. 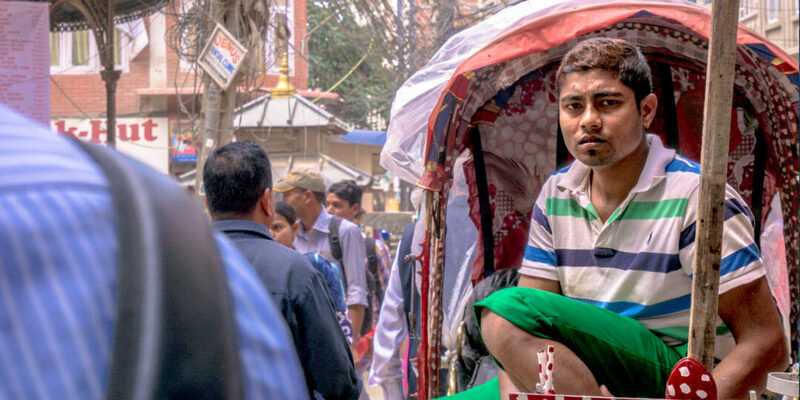 Kathmandu is the first stop on your journey. 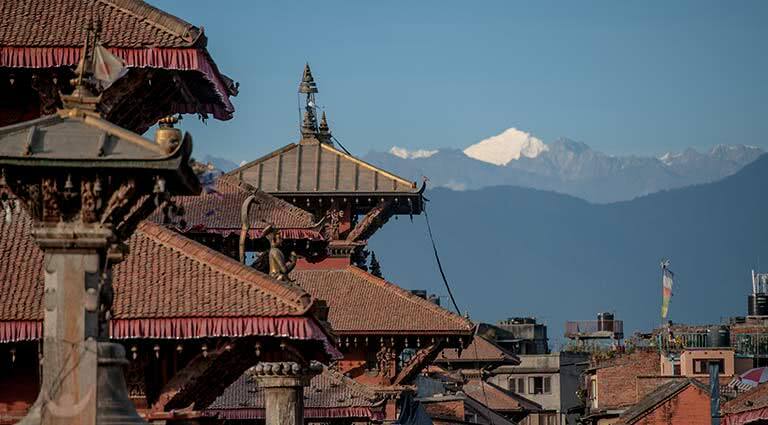 Kathmandu is Nepal’s ancient capital, and sits at the base of four of the country’s major mountains. 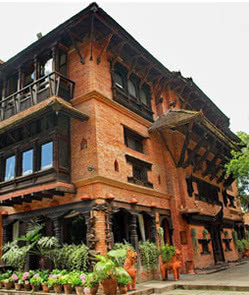 Check into the comfortable, historically-preserved Newari-style Dwarika’s Hotel. 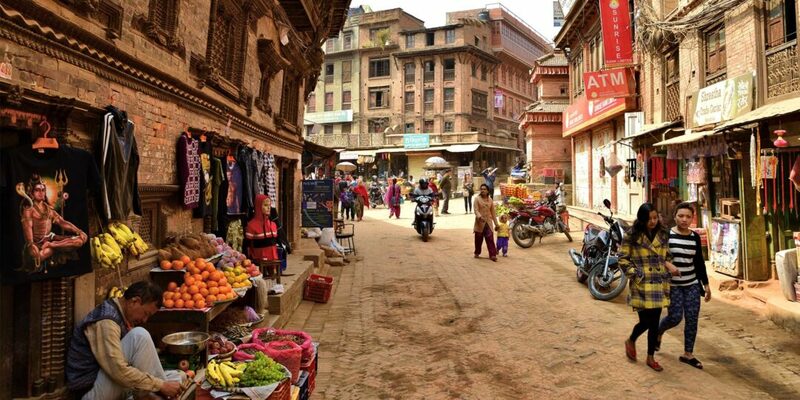 Enjoy a complete tour of Kathmandu. Wander along the narrow streets of the Old Quarter and shop the colorful, tiny stalls selling local crafts and goods. Visit Monkey Temple - a temple named after the large wild population of monkeys that inhabit the temple. Other highlights include a stroll through Durbar square, sharing tea with the locals. 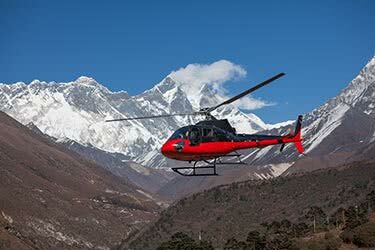 You even have the option to tour Everest by helicopter. Return to the Dwarika to relax that evening. 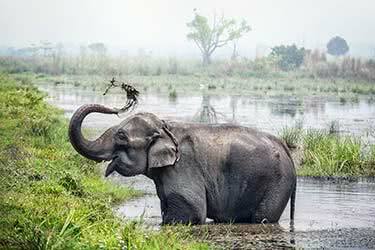 Travel to the beautiful, natural Chitwan National Park, an area dense with rivers, trees and different animal species. 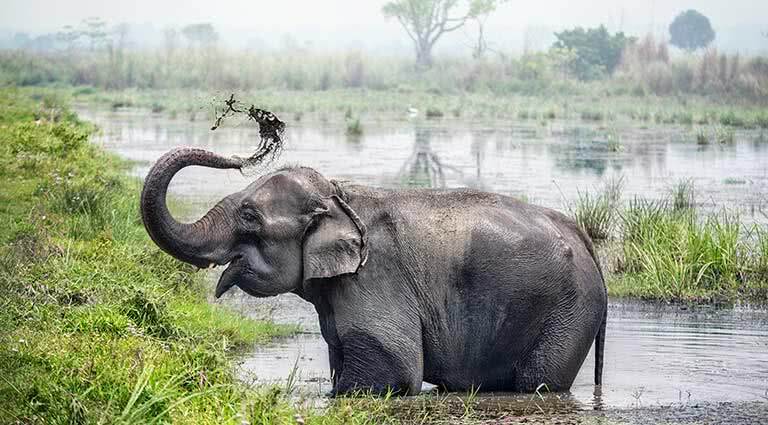 Spend the day riding atop an elephant at a safari, or walking along the river to spot one of the 700 different species. 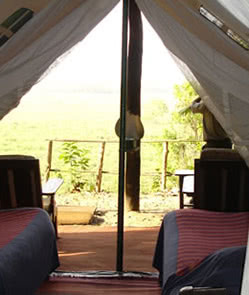 Sleep in the comfortable Tiger Tops Tented Camp lit by traditional oil lamps. Spend the day exploring the park. The Tharu Cultural Museum and Research Center is the perfect place to get to know the Tharu people’s history, culture and customs. There’s plenty of scenic hiking with hundreds of species to be seen throughout the area. Relax back at camp after an active day. 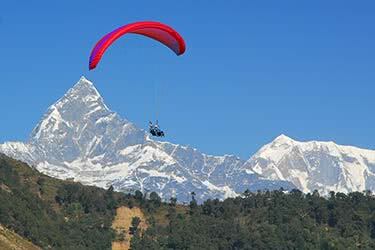 Journey to the second-largest city in Nepal - Pokhara. 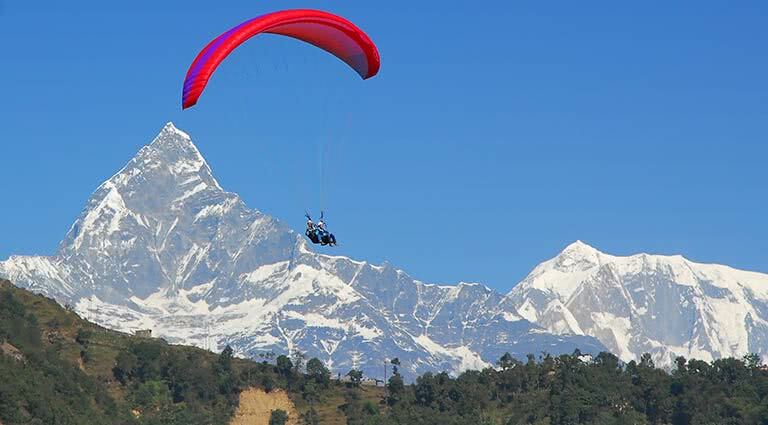 Pokhara sits 24,246 feet above sea-level in a lush green valley with snowcapped mountains looming in the distance. Spend the afternoon exploring the area. 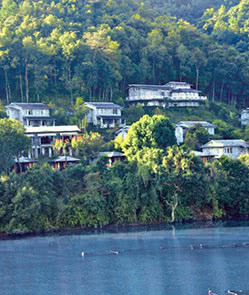 Check into Begnas Lake Resort and enjoy stunning views as you sleep in the utmost comfort. 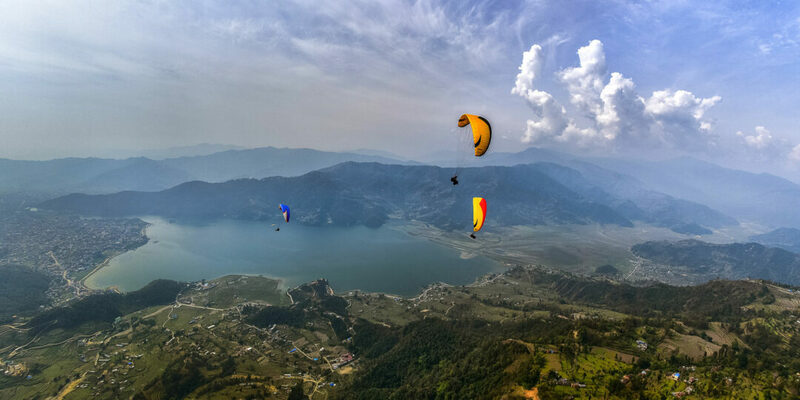 For the adventurous travelers, you have the option to rise with the sun and embark on a sunrise paragliding excursion. Spend the rest of the day enjoying the area’s activities. 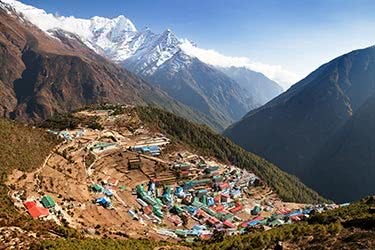 The Annapurna Circuit is famous for its 21-23 day walk, but offers incredible shorter hikes easily conquered in a few hours. There are also horse-trekking options available. Cycling among the area’s small villages is a fantastic way to get exercise as well as tour the area. Return to Begnas Lake Resort to relax that evening. Rise to the gorgeous view of the lake and breakfast at your hotel. Today you have the option to take an ultra-light aircraft flight for a one hour or 30-minute aerial tour of the gorgeous town and the surrounding farms. 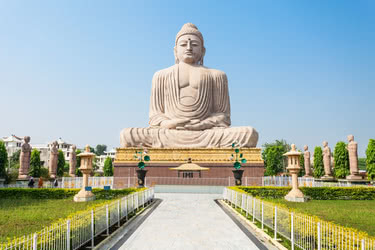 You can also opt for a zipline tour, river-rafting or a caving adventure through the Gupteswar Mahadev Cave. Relax at Begnas Lake Resort after an exciting day. 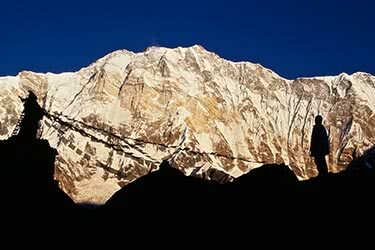 Travel to Kathmandu Valley - a valley filled with elegant temples, historical towns and magnificent royal palaces. 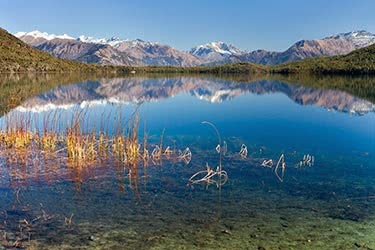 The area has been inhabited since 300 B.C. 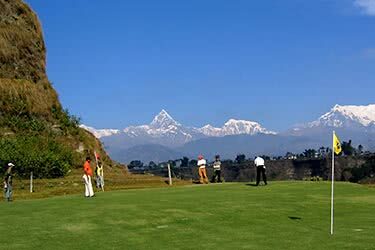 The Kathmandu Valley is famous for its adventurous excursions and activities. Check into the Dwarika’s Hotel before you begin exploring the area. You have the entire day to fully enjoy what the area has to offer. 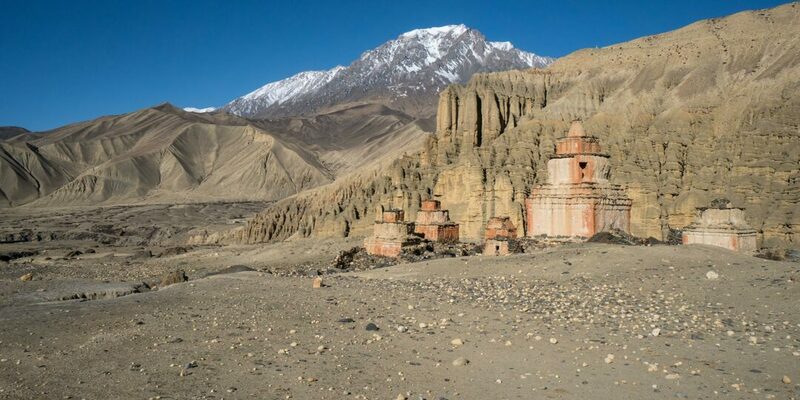 Take a half-day or a full day mountain bike ride to visit the different temples and towns in the valley. 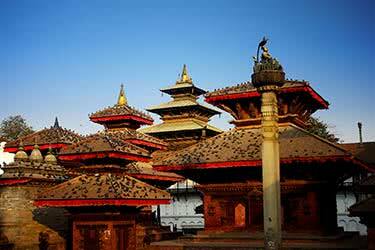 Tour the incredible ancient city of Patan and see Newari architecture. 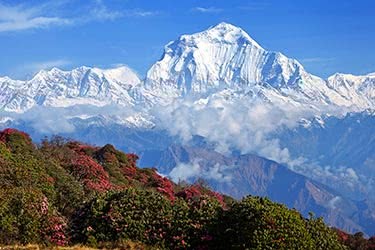 Go hiking in Phulchoki and see an immense collection of flora and fauna. 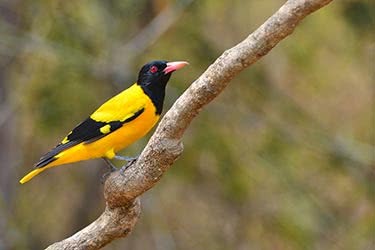 Shivapuri National Park is a wonderful place to hike or birdwatch. 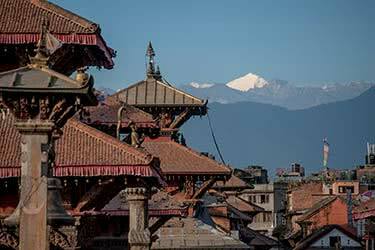 Return to Kathmandu for your final night in Nepal. 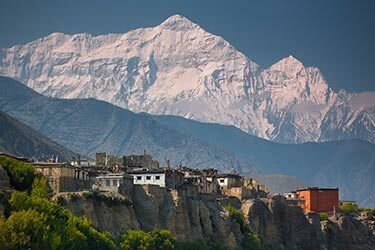 You have the option of attending a farewell Nepali dinner serving up hot, delicious Nepalese cuisine while chatting with your fellow travelers or finding another dining option in the area. 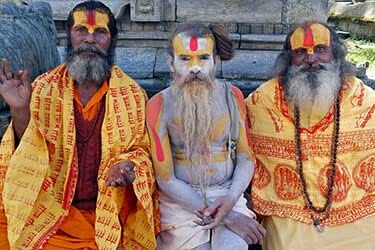 Check in to the Dwarika’s in Kathmandu this evening. 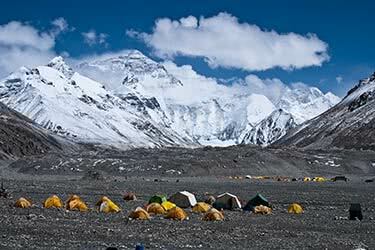 Depart stunning Nepal and fly to Paro in the Bhutanese Himalayas. 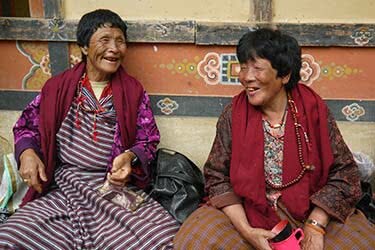 After arriving in Paro, transfer directly to Thimphu. Thimphu has been Bhutan’s capital since 1961. Check in to the charming Amankora Thimphu. The hotel sits on a hillside and is reminiscent of ancient Bhutanese temples. Spend another full day exploring the incredible area of Thimphu. 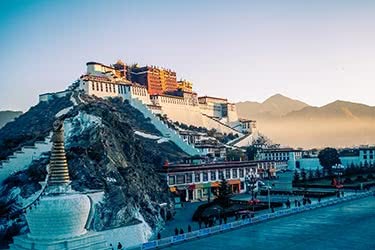 Great spots to visit include the Motithang Takin Preserve to see the national animal, the Cheri Monastery, the National Textile Museum, the National Institute for the Thirteen Arts and more. 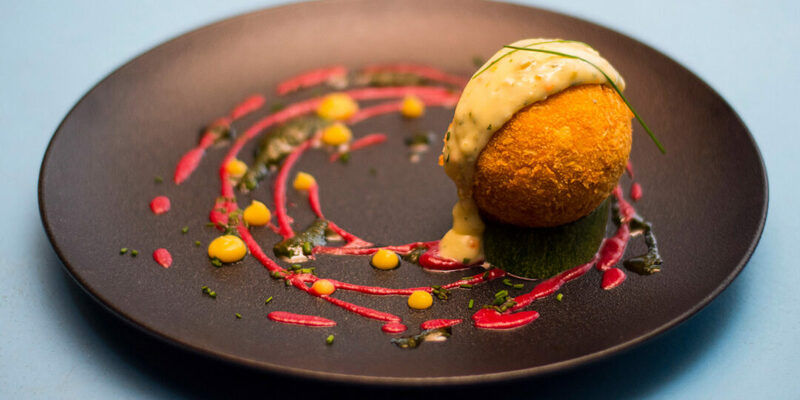 You may even have the rare opportunity to enjoy dinner with a member of the parliament. Travel from Thimphu to Punakha. 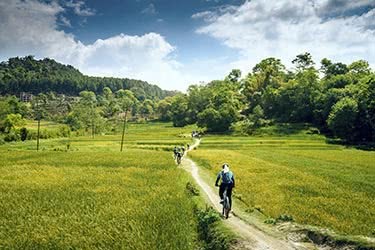 Punakha sits at a relatively low altitude and grows the country’s rice crops, mangoes and bananas. It’s often referred to as the “breadbasket” of Bhutan. Check in to the cozy Amankora Punakha, located across a suspension bridge along the Mo Chu River. Spend the day exploring your beautiful surroundings. Visit the Punakha Dzong, considered to be the most beautiful dzong in the country. See a temple dedicated to the “Divine Madman” who is said to have tamed a female demon with his “thunderbolt,” at the Chimi Lhakhang. 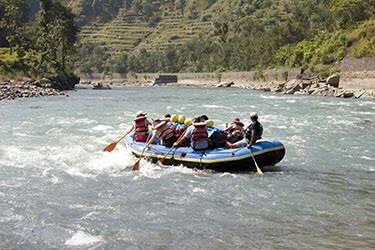 You also have the opportunity to go whitewater rafting, if you’re feeling brave. Travel from fertile Punakha to peaceful Gangtey. The monastery town is tucked into a glacial valley and overlooks potato fields and alpine meadows. This is one of the few places you will have the opportunity to see a rare, black-necked crane in the wild. 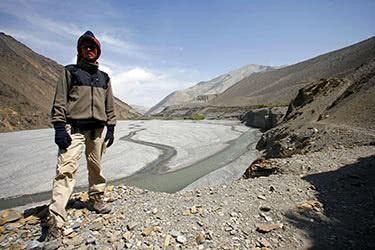 Check in to the Amankora Gangtey, nestled in the remote Phobjikha Valley. 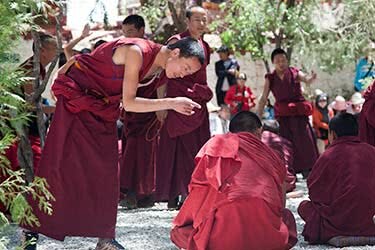 Begin the day with a leisurely walk through the quaint village of Gangtey and visit the town’s focal point - the Gangtey Monastery, home to around 100 monks. 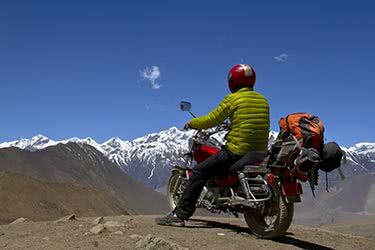 Take a half-day hike to the top of the 10,500-foot-high Lalawa Pass. In the evening, refuel as you learn how to cook your own authentic, not to mention delicious, Bhutanese dishes. 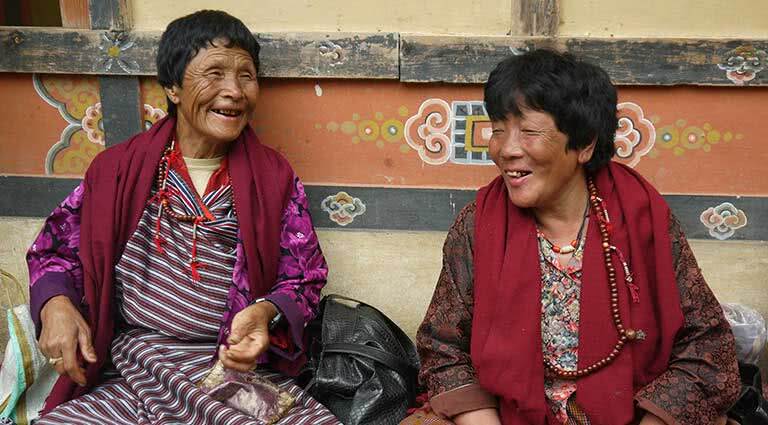 Leave Gangtey and travel to the humble, hilly little village of Paro. This is a hiker’s dream with paths for all levels. 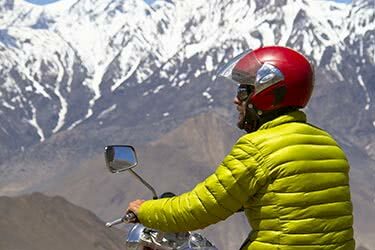 Check in to the Amankora Paro and delight in marvelous views of the Paro Valley and surrounding snowcapped mountains. 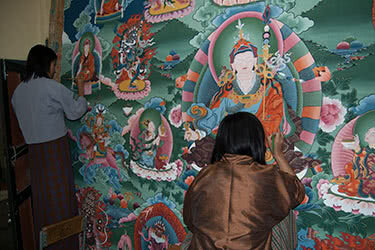 For an extensive tour of Bhutan’s artwork throughout the ages, take a stroll through the National Museum of Bhutan. 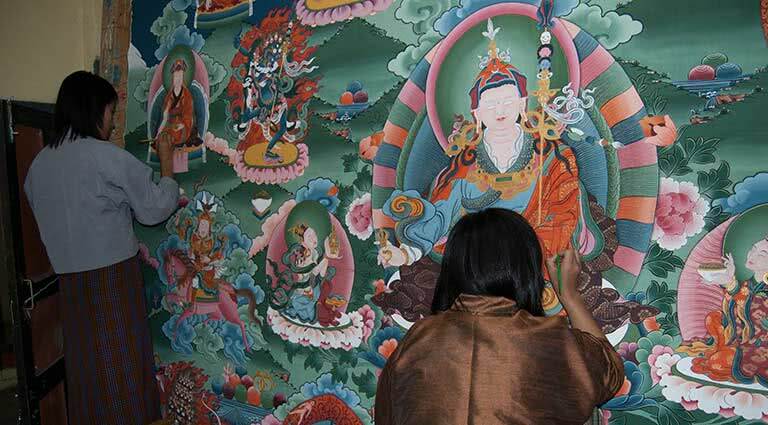 Next, pay the Paro Dzong or “The Fortress of the Heap of Jewels,” a visit. Breathe in the fresh mountain air and take a half-day round trip trek up to the Tiger’s Nest Monastery. The temple waiting for you at the top has a mystical atmosphere. You may even have the chance to take part in a Himalayan Singing Bowl Meditation. Relax at the Amankora Paro Hotel on your last night of holiday this evening. 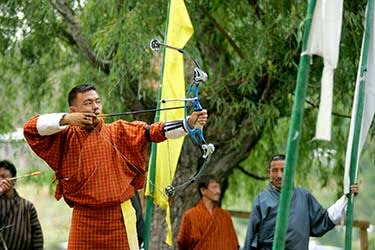 If you have time after breakfast this morning, take one last gander through the village or take an archery lesson, the national sport of Bhutan. Pack up your belongings and transfer to the airport for your departure flight. 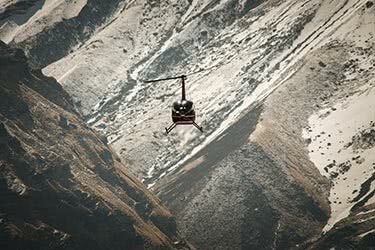 Enjoy one last aerial view of the stunning Himalayas as Bhutan disappears below you.